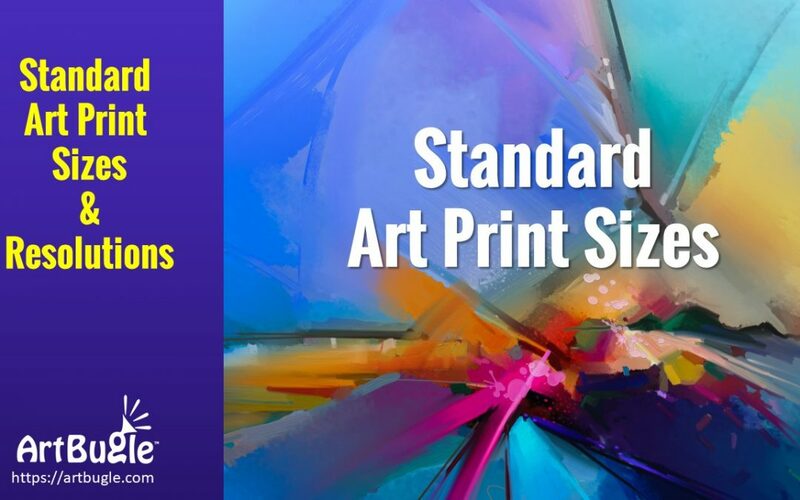 If you are making your prints to fit in a standard frame with a pre-cut mat, the following is a list of standard U.S. frame sizes ( in inches) and mat openings that you can find at most arts and craft stores. The dimension in pixels is the important detail for creating any fine art print. The recommended resolution by most printing companies is 300 pixels per inch 300dpi. Some printing service providers will require 600 dpi. Below are the pixel sizes for various recommend resolutions for printing.